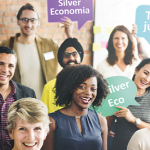 The Jury members we have selected are international experts acting in the field of the Silver Economy. Their role is to evaluate and note the application files in order to select the winners. Indeed, the Jury members will judge the applications based on evaluating criteria, established by the organizational committee. Every member signs an ethics charter and is not allowed to vote for a candidate based on his/her country. Alfonso Cruz Lendinez is graduated in Nursing at the University of Granada, Master in Nursing Sciencies at the University of Alicante, Master in Nutrition and Apllies Dietetics (specialty in nutrition in the elderly) at the University of Jaén, Master in Occupational Risk Prevention (speciality in occupational safety) at the UNED, Second degree of Specialisation in Methodology of Health Research at the University of Alcalá de Henares, Bachelor of Nursing at the University of Alicante Bachelor of NurshinG at the Hogeschool of Zeeland (Netherladns) and Doctor at the University of Jaén (Nursing and Healthcare). Work and teaching experience: Nurse in several hospitals in medical, surgical and central services in hospitals of the Andalusian Health Service and the Canary Islands Health Service. Director of Nursing at First Level Hospital for more than 13 years in the Andalusian Health Service and the Canarian Health Service. Marzena RUDNICKA is the founder and president of the National Institute of Silver Economy, which integrates commercial entities, non-governmental organizations operating in the area of ​​services for the elderly and representatives of local governments and government in the area of ​​the silver economy. She is the author of innovative solutions in Silver economy, including the certification system for goods and services for the elderly – “OK SENIOR” and the author os several publication of “Silver economy is the new branch of the national economy”, “Seniors in the Opolskie province – opportunities and challenges” and “The new Quality for the Senior”. 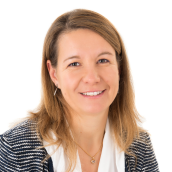 Since 2015, she has been a member of the team established in Brussels at two departments of the European Commission – DG CONNECT and DG GROW, who, as part of the “Neighbourhoods of the Future” program, prepares the European Reference Framework for Friendly Age Housing. Member of the Council of the Civic Senior Citizens’ Parliament and Expert cooperating with the Committee of Demographic Sciences of the Polish Academy of Sciences. Since 2017, member of the program board of the Polish Nestor and Successor Club. 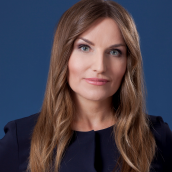 Marzena Rudnicka is also an entrepreneur, the owner of Rudnicka & Consulting and the vice-president of URBI of the Construction and Investment Market Union, as well as an Expert at Adam Smith Center in the field of construction and investment. 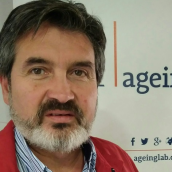 Jorge FELIX is Ph.D in Social Sciencies and MSc in Political Economy, population ageing reseacher and visiting professor of Gerontechnology at Sao Paulo University. 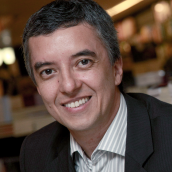 He was the first Brazilian to publish academic articles on silver economy (2007). On the subject he wrote the book “Viver Muito” (2010, Ed Leya) and created, in 2011, the think tank Longevity Economy with the aim of stimulating this industrial segment. He writes about this in several Brazilian newspapers and magazines. Founded in 2010, Balder SPRL relies on its general manager’s solid experience Mr. Alain Legros, who has been the general manager of Lennox Residence (home for residents with severe disabilities) for 20 years and has been leading two foundations for disabled people. In 2013, Balder SPRL created Aquamosa, a company that designs innovative models of elevating balneotherapy baths. In 2014, Balder SPRL and partners created ID4care, which focuses on specialized furniture, logistics and interior design for health and dependency sectors. In 2017, a solution of light therapy for seniors was designed with the collaboration of Liege University and GDtech. At the same time, the company became the exclusive distributor for DomoSafety SA in Benelux and focused on its international development. Balder is currently advising the French group Aegide/Domitys in Belgium and Switzerland. 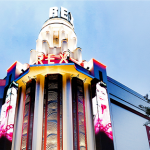 It is also actively working on the profit/nonprofit articulation in the Benelux and French-speaking countries for healthcare protocols as well as on the project of home care /seniors at home; Balder is a consultant for companies and architectural offices; reference visits in Europe; international innovation intelligence, follow up with academia, and expert relations with public services. Balder is building a network of silver economy companies in Benelux and sustains special relationships with French-speaking Switzerland. 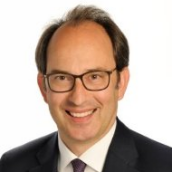 Bradley SCHURMAN is Director for Global Partnerships and Strategic Engagements at AARP. Among other major accomplishments and roles, Schurman was instrumental in securing the topics of population aging and demographic change as central focus areas at both the Organization for Economic Cooperation and Development (OECD) and World Economic Forum (WEF). 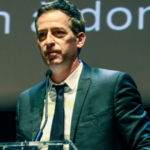 He has developed original research with the OECD and Foreign Policy Group, led AARP’s global efforts on workplace design and age management, and directed AARP Best Employers International. He is a vocal champion for extending working lives to help drive national economic success and social inclusion, and as a way to extend healthy living and healthy years. CEO, Ms Maria Lavonen, holds an M.Sc. in Technical Physics and an M.Sc. in International Business Management from Helsinki University of Technology (1997). ​Ms Lavonen is an experienced leader in the global healthcare business with a proven track record introducing new innovative solutions helping better care. In her carrier Ms Maria Lavonen has been working in international healthcare companies like GE Healthcare and PaloDEX Group Ltd which is part of Danaher Group. Dalius BITAITIS has been working in the social services policy for over 20 years. From 2010 to 2012, he was the Vice-Minister of the Ministry of Social Security and Labor of the Republic of Lithuania. During this time he was writing a dissertation at the University of Mykolas Romeris. His main job is to be the director of a long-term social services office. In addition, he is the responsible secretary of the Association of Heads of Deaths. Hiroyuki Murata is the pioneer of active ageing business in Japan and an internationally recognized leader on ageing societies. 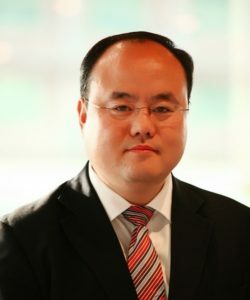 He has worked with over 900 companies and contributed to develop various innovative products and services such as Curves Japan, the world’s largest fitness chain for women in Japan, Raku-Raku phone, the best-selling age-friendly mobile phone and various leading-edge retirement housings. He serves as Professor at Smart Ageing Research Center (SARC) at Tohoku University in Sendai, Japan. He did not only create the concept of “Smart Ageing” but he also contributed to establish the Smart Ageing Square, the ageing-business-on-campus with various industry partners and the Smart Ageing College, the intergenerational school on the campus. There are both implemented in Japanese national universities. He contributed the export of “Learning Therapy” to the USA, a non-pharmaceutical dementia improvement program developed by Tohoku University. He now operates at the “Smart Ageing College Tokyo” to support the 60 companies who wish to create health longevity support business. He is an entrepreneur, business producer, gerontologist and best-selling author of several books, including The Business of Aging: 10 Successful Strategies for a Diverse Market and Seven Paradigm Shifts in Thinking about the Business of Aging, Retirement Moratorium: What Will the Not-Retired Boomers Change? and The Smart Ageing Way: how to vitalize your life as you age. They have been described as “must read books” by more than 30 leading publications including Nikkei, Nikkei Business, Yomiuri, and Japan Industry News. Senior Shift Impact: how to change the super ageing societies into business, one of his best-selling books has been published in Chinese and Korean version. The Successful Business of Ageing: turning the super-aged society into business opportunities, his most recent book is also published in Chinese version. 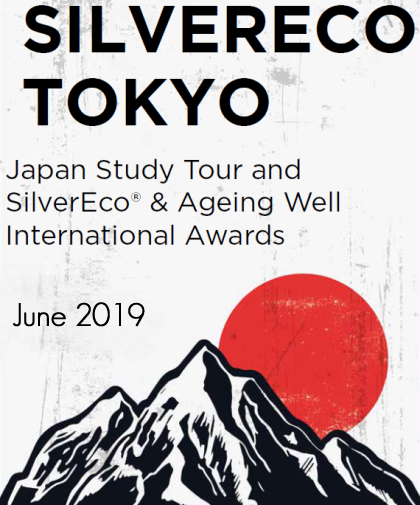 He also serves as many public positions such as a committee member of Cabinet Office, Japanese-style innovation System Creation Committee by METI, New Healthcare Industry Creating Forum by Chubu METI and Silver Service Vision Committee by Silver Service Association. He also serves to Hong Kong Polytechnic University as an International Advisor, and KARP (Korean Association of Retired Persons) as the first Japanese advisor. He is a frequent commentator to many leading media, including Wall Street Journal, Nikkei, Yomiuri, Asahi, Mainichi, Japan Industry News, Newsweek Japan, Financial Times, International Herald Tribune, New York Times, Dow Jones, Silver Industry News, TBS, NTV, Fuji TV, TV Tokyo, NHK, and BBC. He is also a frequently invited speaker by non-Japanese organizations such as WHO Global Aging Forum, AARP, LeadingAge, WDA Forum in Switzerland, Pacific Health Summit in the UK, and many industrial and academic organizations in EU, Germany, Italy, France, Singapore, South Korea, China and Hong Kong. He holds a Master’s degree of Engineering from Tohoku University Graduate School of Engineering, and a MBA from Ecole Nationale des Ponts et Chaussées(French National Grand Ecole) in Paris. He speaks fluent English, French, and Japanese. Alain FRANCO was born in Grenoble, France in 1944, Nov. 1st. He is professor emeritus (2014) of Internal medicine and Geriatrics, as teacher of geriatrics, gerontology and gerontechnology at Nice-Sophia Antipolis University Hospital, Nice, France from 2009 to 2014. From 1989 to 2006 he chaired the Department of Geriatric and Community Medicine at the Academic Hospital, Grenoble University, France, where he was appointed Professor in 1982. From 2000 to 2002 he served as Chair of the French Society for Geriatrics and Gerontology. He served from 2009 to 2012 as the President of the new French National Agency for health, autonomy and technology in the Community (CNR-Santé) based in Nice, which later became France Silvereco. He chaired from 2008 to 2014 the International Society for Gerontechnology, ISG, based in The Netherlands, and organized and chaired the Xth World Conference for Gerontechnology, Nice September 2016. He is the immediate (2009-2013) past Secretary General and Vice-President of the IAGG, International Association for Gerontology and Geriatrics, and in charge of its representation as Head of Delegation at the United Nations (Geneva), since 2009. At the European level he is member since 2008 of the AAL Association’s Advisory Board. Alain FRANCO is decorated as a Knight of the French National Order of the Legion of Honor in 2007. Piret Hirv, MA is currently working as a Health Technology Division Manager at the Science Park Tehnopol. Tehnopol is working with various international health technology networks, which allows companies to find suitable development partners and customers, by developing healthcare services through the implementation of connected health solutions. Until February 2017 Piret has worked as an advisor for E-services and Innovation at the Ministry of Social Affairs in Estonia supporting the digital transformation and innovation of social security area in Estonia, including health, labor and social matters. Ms. Hirv was also developing and implementing Estonian EU Presidency eHealth policy program and was acting as a liaison officer for international organizations and networks coordinating cross-border healthcare-service activities. In 2017 she graduated from Tallinn University of Technology specializing on healthcare technology. Ms. Hirv has earlier background in medicine as a nurse, she has also a degree in business management, communications and public relations. Before the position at the Ministry of Social Affairs, Ms. Hirv has fifteen years of work experience in pharmaceutical industry, marketing entrepreneur, and a long term experience as CEO of lobby and advocacy organization specialized in development cooperation. Marco Carulli is Programme Operations Manager at the Central Management Unit of the AAL (Active and Assisted Living) Programme, where he is responsible for the call management (preparation, publication and evaluation) as well as for the projects monitoring. Also, he is responsible for the implementation of the main Support Actions implemented by the programme such as AAL2Business, the Market Observatory and the AAL Challenge Prize. Before joining the AAL Programme, Marco worked in the field of Research and Innovation-related project coordination and platform management. He has more than ten years’ experience in project coordination (mainly structural funds, FP6, FP7 and Horizon 2020). In the past Marco has been supporting the coordination of the SNETP – Sustainable Nuclear Energy Technology Platform, the European Sustainable Nuclear Industry Initiative and the EERA, European Energy Technology Alliance. Marco has a Master of Arts in Advanced European Studies obtained at the College of Europe and a degree in Diplomatic and international Studies obtained at the University of Trieste. Peter VARNAI has a wide-ranging interest in linking innovative science and technology to policy and business applications. 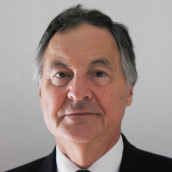 Peter has led a number of evaluations and strategic studies of national and EU policies and programmes focussing on the scientific, economic, and societal impacts arising as a result of these interventions. Peter trained originally as a chemical engineer and obtained MEng degree from Budapest University of Technology and Economics. Peter also holds a DPhil degree from the University of Oxford and an MBA from Imperial College Business School. 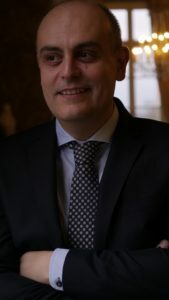 Prior to joining Technopolis Group, Peter was an academic researcher at the University of Cambridge, University of Sussex and at the CNRS in France. Peter is currently pursuing studies into the silver economy and active and healthy ageing, as he believes that there are many opportunities across the public and private sectors where new technologies and services can transform the lives of older people. This transformation is just starting, and it will open up new directions for future social progress and economic growth. Focused on the well-being of all people, KapVision Portugal answers to a social demand in Portugal. Their mission: take care of the elderly for an aging well at home and of people with sensitive pathologies, children or adults. The priority of KapVision Portugal is to allow the elderly to live independently at home with the possibility to continue doing a lot of activities and having multiple services at their disposal. These services are provided on a temporary or permanent basis, according to the needs of each one. Furthermore, KapVision also operates in France, in order to contribute to the ageing well and living well at home. Alexei SIDNEV runs Senior Group, the leading provider or geriatric rehabilitation, long term care home care in Russia since 2007. The newest LTC and Rehabilitation facility Malakhovka opened in 2017 in Moscow, another one Zhukovka opens in the Summer. At the moment the company operates 350 beds in 6 facilities, plans to open 2000 beds by 2022. Senior Group’s Home Care division serves 700 customers and is growing at 100% annually. The Company provides European quality of the services, using expertise from EU and Israel. Senior Group is a part of European Medical Centre Group of Companies, one of the top healthcare providers in Russia. 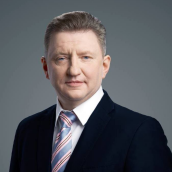 Alexei also runs Senior Generation’s World, Russian senior care industry association and is considered the leading expert in the field of LTC in Russia. Prior to establishing Senior Group Alexei worked at Booz & Co (now Strategy& at PwC), a global strategy consultancy in their London office. Alexei has an MBA from Tuck School of Business at Dartmouth, now lives in Moscow, Russia with his wife and three kids. Enrico Oggioni was born in Milano, Italy – where he lives – sixty-two years ago. 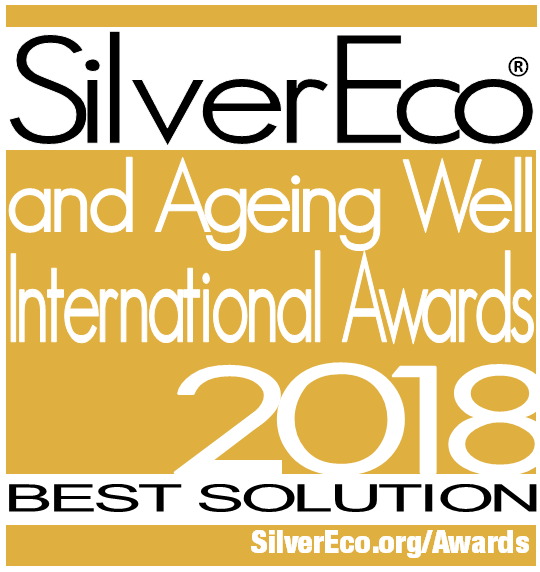 He is co-founder and President of Osservatorio Senior, a non profit organization devoted to study the world of senior people and to propose articles of interest for the over60, through a strong network of experts of this age from universities, media, associations and consulting companies. Over the last ten years, Oggioni studied and developed the topic of senior people, baby boomers and ageing, conducting researches in cooperation with important Italian universities (Università Cattolica, Università Bocconi) and through many publications and conferences. In 2012 he wrote the book “I ragazzi di sessant’anni” (“Les garçons de 60 ans”), published by Mondadori. In his “previous life”, during 35 years he worked as a management consultant and trainer for large and medium size global and local companies, managing organizational change and people development projects. In 1995 he founded his own consulting company with 40 consultants and was President of this company until 2008 when he decided to explore a “new life” and different activities. Mr. James Wang is Senior Vice President of Beijing Ehualu Information Technology Co. Ltd. and CEO of Hualu Senior Care and Health Co. Ltd. Mr. Wang got his MBA degree from Peking University. Before joining China Hualu group, Mr. Wang was Partner in Deloitte Consulting China, looking after strategy consulting business of financial services sector. He has worked for BearingPoint China as Strategy Consulting Director, Value Partners as Strategy Consulting Partner, IBM GBS as Associate Partner. Mr. Wang is a PPP expert nominated by the Ministry of Finance, and the co-founder of a leading Health and Senior Care Association in China. He developed a strong management team composed of talents from global senior care institutions, central government, global leading consulting firm and leading financial services institutions. Hualu Senior Care and Health has launched more than 20 projects/communities in more than 15 cities in China. A PPP project in Shandong province has been selected as role model by the Ministry of Finance in 2016. Hualu Senior Care and Health is also Member of PFCGA (Partenariat franco-chinois au service du grand age). Besides senior care industry, he has ever led or participated dozens of business strategy and transformation consulting projects for big Chinese state-owned groups, listed companies, Financial Groups, banks, insurance companies, PEs, and has deep understanding of business transformation. Mr. Wang holds CPA certificate, and a fan of running and Taiji.